During any religious celebration, especially Christmas, the attention given to the parties, and the gifts, give way to our thoughts about the angels, who are the heralds of the good news on this day, so long ago. So, it was very appropriate that my local Public Broadcasting Channel showed a program dealing with the origin and the myths of angels. Every culture, no matter what its religious affiliation is, believes in some form of angels. Our present western concept of what an angel looks like comes from paintings by the great masters of the renaissance. The documentary implied that the word angel meant messenger or the bearer of news, either good or bad. This made quite an impression on me at this time, in that I wonder what planet in our natal chart was like an astrological angel in our lives that was the bearer of news. At the same time I was wondering if there was any difference between angels and the guardian angel, and the duties of each. Was one the angel, a messenger, and the other besides being a messenger, the one that personally watched over us? That our Guardian Angel might be our inner voice and our conscience that seems to make itself known, when we are in doubt of our actions? Is it the same inner voice that keeps us on the narrow path of right and wrong? Is it the voice that reminds us that sometimes we need to take a chance on our hunches and intuitions? Is it the same voice that we thank God for that we were open enough to listen to, when all seems fruitless? However we see Angels or how we think of them, it seems to me with all the facts presented, that the Angels, whatever there extra duties are, and how they appear to us, they are messengers. We have the freedom of choice of listening to the message and whether we will respond to it is our option. The job of the angel is done once the message is related, and whether we understand, and whether we believe or whether we accept the message or not, is our responsibility. How we respond will determine the outcome and how we perceive it. Their responsibility is the communication, our accountability is being open to hear and understand what is being said. Understanding and deciphering correctly is essential. In relating this to the natal chart, I can see Mercury as our personal Guardian Angel, who is the messenger, who gives us the gift to understand what is being said. Comprehending and accepting the role of the planet, gives us clues to how and if we will react. Mercury not only gives us the gift to hear, but at the same time, the gift of freedom to choose. Perceiving the conditions our Mercury is in our natal chart by the sign, the house and the aspects it makes, gives us the clues and the keys to how well we receive the message, and whether we will understand and will heed it. By accepting the conditions the planet is in, in connection to the whole chart, we begin to realize our assets and liabilities we are working with in dealing with any situation. In this way we will understand what we need to compensate for, and what we need to hold back on. This awareness gives us the advantage in achieving the dreams and wishes we are working towards. As we study our own charts, it will become clearer to each one of us, how Mercury may be our Guardian Angel as the bearer of messages, and being the instrument to allow us to understand and to choose the direction we will need to take. As my study and research into interpreting solar returns continues (which is a chart to determine the influences for the coming year) especially with the writings of Morin and his contemporaries, more questions than answers come to mind. One author implied that when the natal midheaven conjuncts the solar return ascendant, this would designate change, promotion, or something beneficial involving the career or standing among the community, will befall the individual in question. This made sense as the midheaven appears to move towards the ascendant instead of vice or versa which in my opinion should make this beneficial aspect be experienced without too much effort or difficulties. This I did not find to be the case in several charts I have been studying which I do not mean to imply something good did not happen, but the recognition and monetary rewards was connected with doubt, fear, anxiety, difficulties and hard work. This befuddled me, until I followed the first basic rule of Morin to always compare the natal to the solar return when coming to any conclusion of what the New Year will bring. I noticed that aligning the two charts that the solar return ascendant was square the natal, and bingo the light bulb turned on. I began to give this situation more attention, since I noticed that in some instances it may be possible for the aspect to be a trine or a sextile, making it easier to achieve recognition for one’s effort, then with a square. Would the amount of difficulties each individual experienced in achieving the accolades of praise, color their feelings about it? Did one work harder from the very beginning, and the other was just at the right place, at the right time? All kinds of questions were whirling in my thoughts, and no answers were forthcoming. All was a mystery to me, and I was beginning to wonder if I had just opened a can of worms. As I continued to ponder, I slowly came to the realization that it depended on the sign these two points or angles were in, and the degree of the rulers and the aspects they were making with one another. The essential dignities and what houses were involved and interacting with the situation. All this needed to be considered before one could make a judgment whether either aspect is better than the other. Both brought the same honors, but the degree of difficulty and the amount of joy and satisfaction may have been different for each, or was it? The thick and thin of it is that I believe each aspect has its own difficulties, tribulations and hardships in reaching the recognition and the rewards. One with the square had worked hard and that it needed to justify the decision made. Where as the other may have been in the right place at the right time, but needed to prove the honor given was well deserved and not misplaced. With the natal midheaven approaching the solar return ascendant, it gives us the indications that the time of fulfillment has come. As Morin always emphasized, the chart only indicates, and as individuals, we make the final decision. Remember this important point that the Universe may present us with the opportunities, but we must have the ambition, the wisdom and the knowledge to work with it to achieve our desires. In conclusion I have come to the realization the square is the better aspect to have and to deal with, if I had the choice. Because, after all the hard work, what we learnt and what we achieved through experiencing these difficulties can never be taken away from us. That the deterrents and hardships in the long run will enrich our lives, and the honors we receive will be most appreciated because of the obstacles being placed in our path have been overcome. This square aspect teaches us to appreciate and to have gratitude for all the good that comes to us, no matter what we achieve. As the winter months approach, and one year ends and another begins, and the nights become longer and darker. We have the opportunity to go within and meditate on what we need, and what we would like to accomplish and change in the coming year. As there is such a contrast of the light of the day and the dark of the night, I began to concentrate on the opposites in astrology, and how I may use them to my advantage. In this fast paced world of the internet age everything is black or white, you are either on one side of the situation or on the other side. This was a dilemma for me, for how was I to work with both sides and come to a point in the situation that would be beneficial to that which I was working on? Fortunately, because of my background the concept of the Yin and Yang was not alien to me, and the ideas of opposites fell right into place and worked well with astrology. The Yin and Yang concept is widely accepted in the Asian communities as two opposites or opposing forces that are bounded together, intertwined and interdependent to one another. 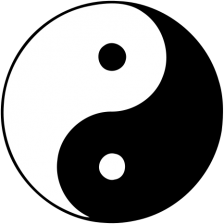 Yang is represented by the white portion of the symbol with an essence of Yin within its psyche representing positive energies, masculinity, hot, dry, powerful, and daytime amongst other attributes. Yin on the other hand is represented by the black with an essence of the Yang within its psyche representing feminism, receiving, protecting, wet, cold, nighttime and et cetera. The Yin and Yang expresses the need for balance and equilibrium, and the opposing forces united as one. The rise of the Yang will see the fall of the Yin and vice versa. Hence the separation between the Yang and the Yin is not a straight line, but a curve showing the variation of gray between the two opposites. With this symbol, there is no absolute right or wrong, but depends on one’s perspective and choice in handling any situation one faces. In applying this concept to the houses and the ruler of the house to the opposite houses are my thoughts and observations I have made through the years in my love and study of this ancient art. Mars the ruler of the first house and Aries are opposite the Venus the ruler of the seventh house and Libra. Mars full of energy and action can be overbearing and is balanced by Venus, the goddess of beauty and orderliness. Venus exemplifies culture and the arts and our relationships, but without the energy of Mars, it would not become reality. Venus the ruler of the second house and Taurus are opposite Mars and Pluto the rulers of the eighth house and of Scorpio. Venus gives us the appreciation of the material and culture, and Mars helps us with the desire to bring it into reality and maintain it, and Pluto gives it a life of its own. Mars gives us intensity in all our relationships and possessions, but without the love of Venus, it would be destroyed by the energy of Mars and Pluto. 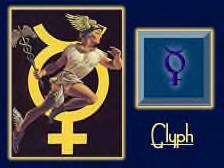 Mercury the ruler of the third house and Gemini are opposite Jupiter the ruler of the ninth house and Sagittarius. Mercury allows us to be the messenger of our thoughts, and Jupiter allows us to say something that is meaningful, otherwise we may only repeat what we hear. Jupiter allows us to develop a philosophy and ideology, and Mercury allows us to share it with others. 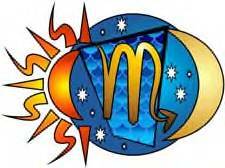 Moon the ruler of the fourth house and Cancer are opposite Saturn the ruler of the tenth house and Capricorn. The Moon gives us the ability to nurture our surroundings and build upon it, and Saturn gives us structure. Saturn in the tenth can alienate others from our cause and support, without the love and concerns of the Moon we would be unsuccessful among our peers. Sun the ruler of the fifth house and Leo are opposite Saturn and Uranus the rulers of the eleventh house and Aquarius. The Sun gives us the energy and the personality to bring others to us, and Saturn and Uranus gives us structure and adaptability to all we encompass. Saturn and Uranus gives us hopes, friends and wishes, the Sun gives us the energy to make it happen. Mercury the ruler of the sixth house and Virgo are opposite Jupiter and Neptune the rulers of the twelfth house and Pisces. Mercury gives us the understanding and communicative abilities to relate to others, and Jupiter and Neptune give our thoughts and ideas depth and vision. With Jupiter and Neptune in the twelfth, the sacred and the mysteries of our beliefs have new meaning and Mercury helps to incorporate those ideas into our modern living. What we see is that opposites maybe opposing, but with ingenuity we can bring about reconciliation along the curve of the Yang and Yin and arrive at a point where these two opposites are a benefic in anything we wish to accomplish. By meditating on this symbol with any problem, tribulation and situation, our higher intuition and self will come up with an answer that we can work with to achieve our final goals. It is through the understanding of the cycles of light and darkness between the Yin and the Yang, that the opposites will be reconcile and bring peace of mind and success in any project we bring to fruition. As the New Moon at 13 Scorpio 40 approaches at 9:52 p.m. PDT on November 5th 2010, I began to remind myself why I pay attention to these phases of the Moon. Although our natal chart emphasizes certain signs and houses, we as a Divine creation, contain and express all the elements and energies of all the signs and the houses. At this time we have chosen certain aspects to concentrate on, and although the moon periods may not aspect our natal charts directly, they subtly have an influence in how we see things. Depending on the House and where the natal Sun and Moon are, the moon colors our ideas and thoughts, in a way we will never see it the same, again. This Scorpio Moon is compelling us to go within our sacred place where the feminine and the masculine intertwine to allow compassion and respect for ourselves and others to find a place and position in our daily lives. It is the ability to have the compassion and respect for ourselves first, that we are able to express these qualities to others. It is this asset that allows us to see things as they really are, because our compassion allows us to forgive, and in forgiving we release the culpability and become more communicative to ourselves and others. By going into our sacred spiritual inner sanctum we give permission to the masculine facet of our personality to demand the compassion and respect for ourselves in which we deserve, and we allow the feminine aspect to receive and confer these attributes. By being clear of mind, our abilities to communicate to ourselves and to others what is needed to be done will be assured. With clear and precise communications, our abilities to decide clearly our real desires and wishes for the future will have more of a chance to become reality. “The Sabian symbol for the 14th degree of Scorpio is taken from “The Sabian Symbols in Astrology by Marc Edmund Jones”, and what follows are my comments. Scorpio 14 Telephone linemen at work This is a symbol of the interconnection which links all phases of existence with all others, and of man’s special genius for expanding the relationship between the most widely separated and distinctive aspects of experience. Implicit in the symbolism is a responsibility on the part of all higher life for all lower, and a faithfulness of all lesser things to the requirements of the greater. Here is emphasis on self-specialization as the root mode of all individual being. The keyword is attachment. When positive, the degree is an effective penetration of human competence into each pertinent complex of everyday living, and when negative, unnecessary concern over the affairs of others. The Sabian symbol explanation is so timely considering the financial difficulties still looming on the horizon, with no end in sight. As we are about to enter winter with the cold lonely nights, the thought of being in touch with others through open communication is very reassuring and calming to the soul. Our only problem is if there is blockage, no matter what the cause, causing a breakdown of our interconnection, and loosing the power and calming effect that unity brings with it. This is exemplified within the individual when compassion, respect and the ability to forgive oneself is not practiced and lived by the individual, then the blockage of guilt, jealousy and fear interferes with the intercommunication between our conscious and our subconscious. When we are unable to be honest to ourselves, our ability to be honest and open to others is hindered. The difficult aspects in the Zodiac for the last year have been pointing to the essential truth and wisdom, that unless we work together as one in unison, our efforts will be in vain. We must be able to amicably communicate truthfully, with the ability to compromise with one another in open communication if we are to succeed in whatever we put our mind to. To accomplish and fulfill our dreams and goals, we need to take the first small steps toward compassion and respect for ourselves, and then everything else will fall into place.